We offer integrated solutions to make it easier to own, service and maintain our products so that you get a greater return on your investment. We are best rated commercial gym equipment manufacturers located in DeZhou city, Shandong province. One of the largest fitness equipment manufacturers in China.Shandong Ningtai Body Building Apparatus Limited Company (Abbreviation: NTAIFITNESS) is a Fitness Equipment Suppliers in China, Fitness Equipment Manufacturers in China, NtaiFitness supply Commercial Fitness gym Equipment, sporting goods, bodybuilding machine, cardio fitness equipment, hour fitness equipment. That is why we offer the best Lifetime Warranty in the fitness industry. Our equipment includes the most added features in the fitness industry. That is because we study the market, and our competitors, in order to engineer and manufacture equipment that performs the best, and is made with high-quality materials. Our Chief Engineer and Designer has been in the fitness industry for over 20 years, training on equipment, engineering and designing equipment for own label, and designing equipment for other major companies in the fitness equipment industry, as well. To be the leading global provider of products that contribute to the health and well being. Delight and excite our customers through truly innovative products, unsurpassed quality, and best-in-class customer service provided by a world-class organization. From the beginning, NTAIFITNESS has operated under a core management philosophy that is central to our brand. Our brands have been sold across 60 countries and are marketed to the commercial, specialty and home-use markets. 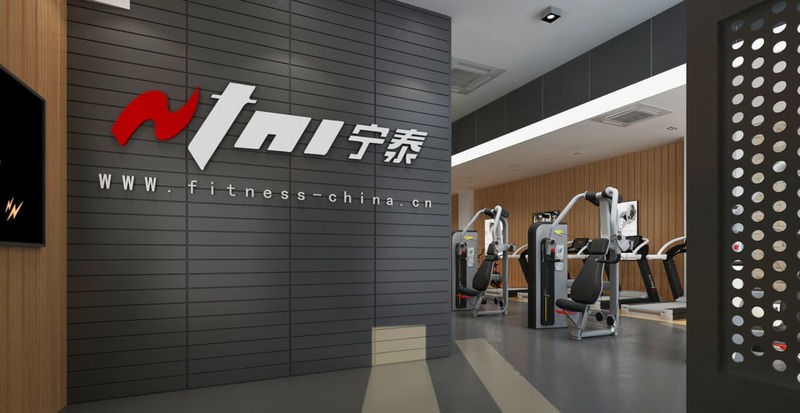 Our commitment to product innovation, superior value, and unmatched customer service have made NTAIFITNESS a leading provider of high-quality fitness equipment around the world, welcome to import gym equipment from China. Ntai Fitness is 100% committed to maintaining the highest standards in every phase of our manufacturing process. From our board of directors to our corporate officers, this commitment starts at the top. Our leadership team exemplifies the core principles on which Ntai FItness has been built for, and instills in each and every employee the same dedication to high product quality, unmatched customer service, and profitable sales. Our manufacturing facilities rank among the most sophisticated in the industry, with clean rooms that eliminate impurities and an intricate mix of robotics and skilled workers that maintains the highest standards of accuracy and quality. Our vertically integrated brand portfolio means every key component that goes into our products comes from one of our own facilities, giving us full control over how they're designed and built. If we don't make the part, we thoroughly audit who does, ensuring that every part works together. Learn what drives Ntaifitness® to innovate. A: After the order is confirmed, we have a meeting with all departments before production, to discuss all the fitness equipment production technology and technical details to ensure that all the details are under control. Check all the materials to ensure that they will match the customer’s requirements before production. Final check while packing up all the fitness equipment. If there is no problem at this stage, our QC will issue the inspection report and release for shipping. Quality and Service: We have always been to “customer first, service first” for the principle, for all customers to have better fitness equipment. Quick Lead Time: We’re dedicated to providing the quickest turnaround times and work very hard to ensure that all of your deadlines are met. Our general delivery is 25-50 days, which is according to the quantity of your order. After Sales Service: We can keep continuous communication and satisfy the various needs of customers. If there’s any problem after the sale, the service department will try the best to improve the relevant services based on customers’ comments and feedback. Management Team: Our management team is formed by numerous professional experts in the fitness field. If our team is assumed to be blood, then our DNA will comprise morality, passion, professionalism, management experiences, plus successful cases. We are adhering to the rigorous attitude seeking increasing perfection like scientists, and all of our fittings are procured from trusted suppliers. We have almost demanding quality testing so as to be perfect in every detail and provide you with high-quality fitness equipment. We have a complete array of production equipment, including the laser cutting machine, automated robot welding machine and various types of CNC machines, such as CNC router. Standardized methods are utilized for high-end processing procedures. Rust removal is achieved through a combination of sand and electrostatic-spraying techniques. Reiteration of the spraying technique allows us to optimize surface treatment. The stress-test laboratory ensures the integrity of processed components. Never satisfied with the status quo, we are always trying to improve our product quality. Our R&D team always perseveres in the highest standards within this industry. As a high-quality team, our R&D department is composed of mechanical engineers, biomechanical experts, and industrial modeling engineers, among others. Over 60% of technical workers have rich work experience in the same field for more than 3 years. They are committed to increasing the technical index during practice, for the purpose of making our customer satisfaction far ahead of others in this industry. Actually, the goal we are focusing on is always higher than the customer standard. Our fitness equipment have a wide range in order to achieve a unified appearance and functionality, combine the user-friendly design and advanced technology, create the theme of healthy fitness equipment, and lead the fashion trend of fitness equipment, Different colors, materials, and products use the latest digital technology to ensure that we walk in the forefront of international design trends. Please cooperate with China fitness equipment mold manufacturers. We are a direct fitness equipment factory, with advanced production equipment to mass production. Under the guidance of our proficient management personnel, production costs are effectively optimized, so can provide the most reasonable price. We are located in DeZhou City, Shandong Province, China, which makes transportation extremely convenient. Our products have found export destinations in more than 70 countries and regions worldwide including the Americas, Europe, Africa, Asia, Oceania, etc.